Prices for dumpster rentals in our service areas include initial delivery fee, hauling, and disposal up to the allowable tonnage as described above. These prices do not include “Disposal Overages” or “Unable-to-Service Fees”. Anything over the allowable tonnage is charged $89 per additional ton. These prices do not include trip charges or unable to service fees. Our "Unable to Service" or "Trip Charge" is $150 per occurrence. Any clean masonry/dirt containers that are mixed with trash will have additional fees will be applied.  Contact us for any questions you have about our fees or dumpster rentals in Washington DC, Maryland, Virginia, Raleigh-Durham NC & Philadelphia PA and the surrounding areas.